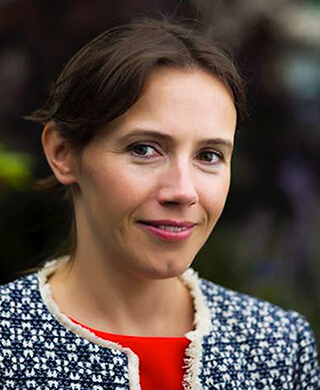 Professor Aoife McLysaght is Principal Investigator in the Molecular Evolutionary Laboratory and Lecturer in Genetics, TCD. The thing that I find interesting and exciting: new ideas and trying to figure them out. And that works better when you’ve got somebody to talk about it with. You learn from the experience of working with people who are really good. And even though I’m now a Professor in Genetics at Trinity I still feel that this still goes on, that I learn from other people and I really enjoy the interactions that I have. That’s the difference between doing whatever it is you do at home at a desk and doing it in your department – it’s the interactions, and they often happen accidentally. You go for a coffee in the department coffee area and you sit down and go ‘oh, I’m so stuck on this thing, it’s driving me crazy’, and somebody just says ‘what is it?’. You talk to them and either just by explaining it out loud you figure out something you hadn’t realised before or they give you a suggestion. They don’t even have to be scheduled interactions, in fact, the unscheduled interactions are more valuable because that’s how you maybe discover that somebody could help you in something. I don’t really like the idea of hierarchy. I felt when I was a student one of the things I really enjoyed at Trinity was that students were treated like colleagues of the future. That people take you seriously and they talk to you like an adult and listen to your ideas. And that was something I very much enjoyed, so I try to continue that. The people in my lab are just as capable and sometimes better than me at coming up with an interesting idea, and I’m delighted when it happens. 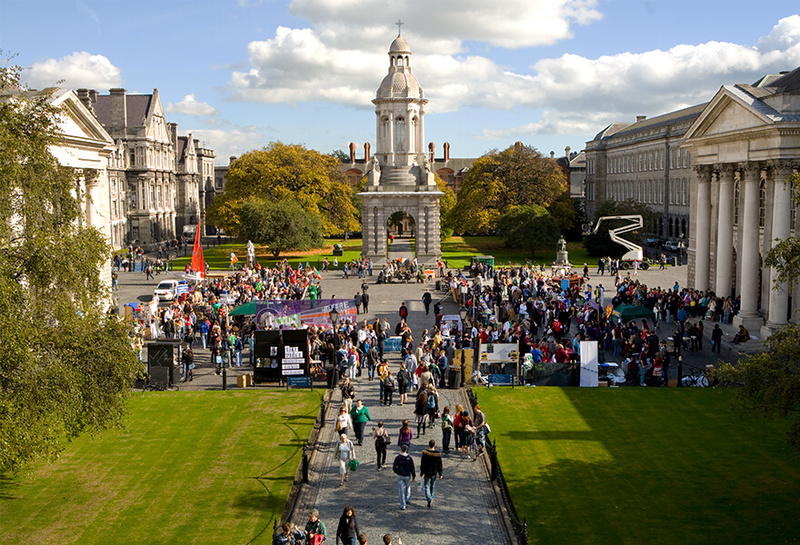 Images courtesy of Trinity College Dublin. I did my degree in science in Trinity and I specialised in genetics, and then I did a PhD, also in Trinity, in genetics. Then I went to the University of California, Irvine for my postdoc. I spent just under two years there. Irvine was the place where they filmed the original Planet of the Apes. I really like Trinity. When I discovered genetics, I felt like I had found a new home. I really enjoyed the topic, but also I think there was a very collegiate atmosphere, which you can take for granted – it doesn’t exist everywhere. And I think even now, even still in my career I find it a very supportive environment. I feel very encouraged and it’s quite motivating in terms of trying to stretch yourself to do new things. I’m lucky that I’ve got a small network of people who I can call or Skype and talk to. We talk about science, we talk about ideas, and I really enjoy that kind of interaction. Some of them are in Ireland, some of them abroad. People I can bash ideas into shape with. And that still goes on. Not just when you’re a student or a trainee. For me, it’s part of the pleasure of the whole career. I do think it’s important that people engage a bit, or be conversant in science. For example, vaccines are such an amazing advance in terms of public health. They’re an incredible invention. Ireland has one of the highest rates of cervical cancer, and now we’ve got the lowest uptake of the vaccine. People start to create scare stories. When people don’t search for scientific evidence for things they find a very compelling, convincing person with a very sympathetic story and think they must be right. They’re convinced that this is true. But it’s not true. You need to be able to question it. If people aren’t conversant in science, they mightn’t ask those questions. World class teacher: Aoife McLysaght. I cycle to and from work. Even in the rain. In Trinity campus, on the nice days in the summer, you can sit out on the grass around the path and eat your lunch and just enjoy that. It’s really a little haven in the middle of the city centre. When I’d been in California, when I came back for the job interview, and ultimately got the job I have now, I distinctly remember walking through Trinity’s campus. Two things struck me when I came home. One was how clear the air is. Probably because of the rain. In California, there’s hardly any rain, so the air gets kind of dusty. And I remember how sharp everything looked. Everything was kind of fuzzy, I thought, in California. And the second thing was, going to my interview, walking through Trinity campus, alongside the playing fields, the cherry blossoms were in bloom, which was just so beautiful, and I remember walking along and feeling really happy just to be there. As Professor Luke O’Neill discovered recently, when you become a fellow of the extremely exclusive and august science club that is the Royal Society, you have to sign their book. Previous signatories include Newton, Boyle, Freud and Einstein (Oh, and superstar astrophysicist Brian Cox). Which makes the process rather nerve-wracking, according to O’Neill, a biochemist at Dublin’s Trinity Biomedical Sciences Institute and one of the world’s leading immunologists. Luke O’Neill: There’s a practice, you don’t want to smudge your name! Dublin.ie: That’s quite some company you’re keeping there - but what do all you science guys have in common? Luke O’Neill: Science is trying to find stuff out. You can call it exploration, you can call it pioneering, frontier stuff because it’s all about making discoveries. We are explorers, that’s our job, that’s what attracted me to it. I wanted to see something nobody’s seen before. And in my case, luckily enough in my lab we probably had three big discoveries that made a big difference: we explored the immune system and saw things there for the first time. The next step is there’s a whole new pathway or process discovered - and of course the thrill would be if that was a dysfunction or a disease because then you might try and correct it. Once you find the enemy, you might be able to design a new medicine that might beat it. Dublin.ie: So you’re a biochemist and not an ordinary one? Luke O’Neill: I’m a bit of a schizophrenic! I was interested in chemistry anyway and biochemistry is chemistry writ large: if you want to understand something you’ve got to understand the chemical basis for things - and biochemistry is the basis for life. If we understand the chemicals of life wouldn’t that be a thrilling thing? One comparison is with genetics: geneticists don’t really go beyond the genes, you know – and I want to know the real fundamentals. Like genes makes proteins, but what do they do? I was always obsessed with true mechanism – the underlying mechanism, the very basics of how things work. I’ve always been obsessed with molecular things in a sense.